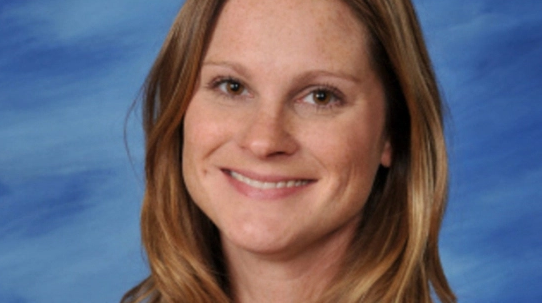 A second grade teacher from Texas has died from complications of the flu. Thirty-eight-year-old Heather Holland fell ill with the flu about two weeks ago and was prescribed antiviral medication to treat her symptoms. But when she saw the $116 price tag, she decided it was too high a cost, CBS Dallas/Fort Worthreports. "It's principle with her. She's a very frugal person in general, always has been," her husband Frank Holland told the Wall Street Journal. He told the newspaper he bought the medication himself when he learned she'd refused to fill the prescription. "I made her start taking it," he said. "Friday night, things escalated and she ended up in the ICU," Frank Holland told the Weatherford Democrat. "The doctors got the blood cultures back and they had to put her on dialysis early Saturday." Heather Holland died on the morning of Feb. 4. Her death comes as hospitals nationwide are seeing record numbers of patients with the flu. The U.S. Centers for Disease Control and Prevention says this year's flu season has been dominated by H3N2, a particularly nasty strain which is linked to more severe illnesses. "Unfortunately, more deaths are likely to happen" over the next few weeks, CDC Acting Director Dr. Anne Schuchat said at a briefing Friday. Antiviral drugs like Tamiflu (oseltamivir) can reduce the severity and duration of flu symptoms somewhat if taken within 48 hours of the onset of symptoms, but they are not an immediate cure. Holland taught second grade at Ikard Elementary School in Weatherford, Texas. Former student Mary Grace Foster, 16, explained the impact Holland had on her. "She saw I was kind of a shy, scared kid… I acted out a little bit," Foster told CBS DFW. "I would describe Mrs. Holland as someone who really tried hard with me, through everything. All my issues, all my episodes." Foster's mother Lindsay said she was shocked by the news of Holland's death. "You think it's just going to be someone who's elderly with a secondary issue ... not someone who was young and healthy and vibrant," she said. She remembers Holland as someone who inspired many students over the years. "I am certain it wasn't just my child. She was 'that' kind of teacher. She just had a heart for teaching and a heart for students. She truly cared about the kids she came in contact with… education was her calling," said Lindsay Foster. A school official said that custodians have been deep-cleaning the district's schools since December in order to protect students and staff members from this particularly nasty flu season. Cover your mouth and nose with your inner elbow or upper sleeve when coughing or sneezing. Wash your hands often, with soap and water. Don't share cups, water bottles or eating utensils.